The party’s over. Now what? It depends on what we set in motion. This new year I was surprised to find myself more aware of it than usual. When I heard that 2017 is the beginning of a multi-year cycle, my heightened interest made sense. 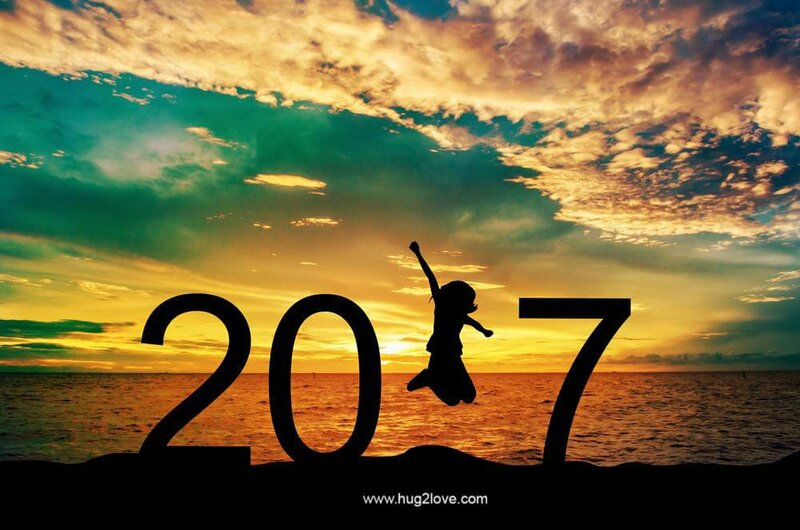 Each new year is a time for new beginnings, but the first year of a new cycle sets the tone for the next decade or so. Worth paying attention to, I’m thinking! Another view of the significance of this time of year has to do with nature’s seasonal cycles. We have just passed the winter solstice, the time when we have the least amount of daylight and the days are cold in my part of the world. In terms of nature and growth, the harvest is completed and there’s a tendency toward rest and hibernation. 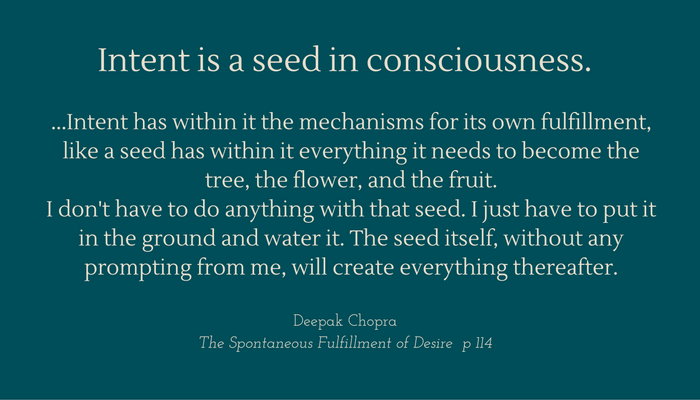 It’s the kind of energy that prompts us to reflect and plant seeds. This is the time to do it. Don’t worry. This blog is not about new year’s resolutions. I don’t make them. They seem superficial and techniquey to me, trivializing the natural cycles that speak to our souls. Truth is, making resolutions doesn’t seem to work for most people. I’ve noticed that they set goals with great enthusiasm and it all crashes down or grinds to a halt in a few days or weeks. Or they charge ahead down the path they set, even when it becomes clear it isn’t working for them. All this leads to feelings of frustration, failure, anxiety, being weighed down by yet another obligation or overwhelmed to get it done and get it right. None of this is constructive. What would be another way? That’s the way—to ask a question. Or several questions. This is the best way I’ve found to get energy moving and see things differently. I learned this one spring about twenty years ago when my house began feeling like a burden. It was an unusual feeling and I couldn’t shake it. After about a week, I sat down on the couch and asked, out loud and to no one in particular, What is going on here? In that moment, it became clear that it was time to sell the house. That surprised me because I never expected to leave that house. It had been my security after moving six times in twelve years with young children in tow. Sell the house? Really? Yes, it’s time to sell the house. By then, I was the only family member living there and the upkeep was more than I enjoyed. So it made sense. Sell the house…buy a condo. Settled. Until I told my friend Christine. Christine had a question for me: Aren’t you just jumping from the frying pan into the fire? My first instinct was to say, Of course not! I have to have a place to live. But I trust her intuition so I didn’t dismiss the idea. I asked myself more questions. If I don’t have a house, I’ll be homeless. Where will I live? And then I remembered a residential course at Schumacher College in November. Without a house to worry about, I could take that course and come back to my college teaching in January. What is possible here that I might not have thought of? This story illustrates the value of possibility thinking. What if I don’t buy a new place right away? When I asked “what if…” it created space for new ideas to appear. It was an exploration that didn’t commit me to any of them. In fact, I specifically told myself I was just playing with possibilities and did not have to do anything that came up in the process. As it turned out, I did follow thorough on one of them. I went to live in England for a year, spending about half of it studying and working at Schumacher College, and half travelling to places I never expected to see—the Blarney Stone and Galway Bay in Ireland, Pompeii in Italy, the unique architecture of Barcelona, the Minotaur’s Labyrinth in Crete, and the Akrotiri Excavations on Santorini. Once I was unburdened from having a house, all of this seemed possible. 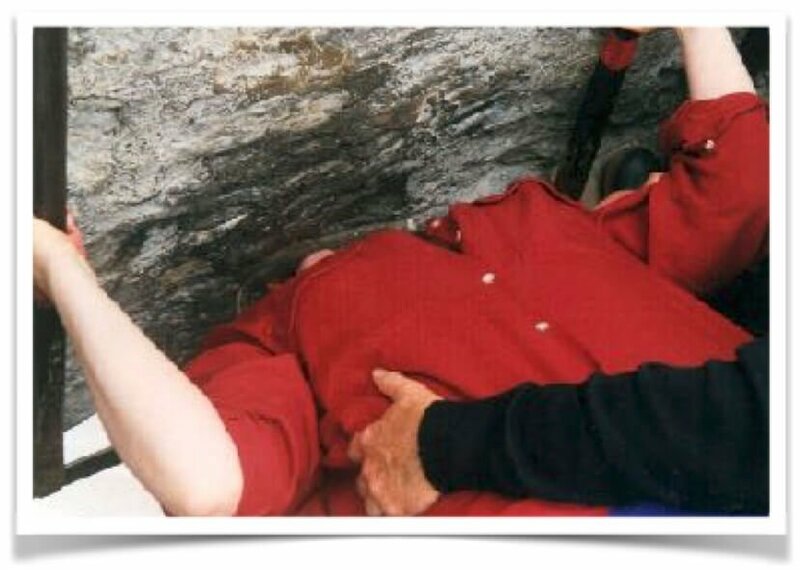 During that year, there were many delights and surprises, including the discovery that kissing the Blarney Stone is more tricky than you might think. This was pre-Internet, so I had no advance notice like visitors do now. I’m glad I didn’t, for many reasons. Me kissing the Blarney Stone. Who’d have thought?!! Asking questions helps us follow the energy. Questions like these allow for expansive thinking. They engage bigger-picture energy that might eventually point to specific goals. It’s the questions we ask before setting goals that are the starting point to get us where we really want to go, not just where we think we’re headed. They help us get in touch with our essential selves. Intentions put things in motion. Questions help us discover and articulate our intentions. And intentions start what eventually comes to fruition. By asking ourselves questions, and listening to the answers even when they are not what we expect, we give voice to the deepest inner part of ourselves, the part that often goes unheard. It is the place where our intentions reside. By bringing them to awareness and planting the seeds, we set in motion what we want to see come to fruition as we cycle through the year. 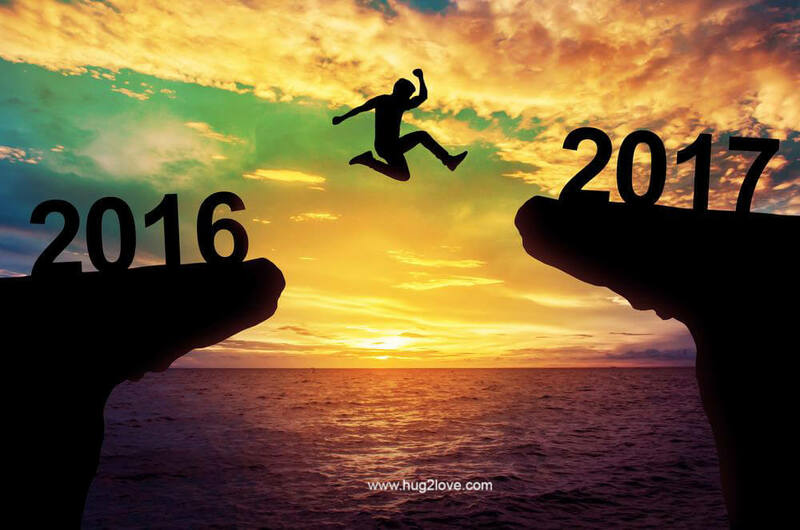 Whatever you decide to do or not do, may you feel this way about the year to come. This entry was posted in Mindset, Viewpoints & Thinking for Ourselves, Things to Think About, All Posts—newest first and tagged intention, deepak chopra, possibility thinking, follow the energy, goals, consciousness, essential self, new year resolutions, ask questions, Todd Henry by Laurana Rayne. Bookmark the permalink. I love this Laurana. It fits right in line with my newly acquired coaching skills. Ask the question, be curious and explore the possibilities. Happy New Year. Good to hear from you, Diane! I like your outline of the process — simple and succinct. All the best with your coaching.